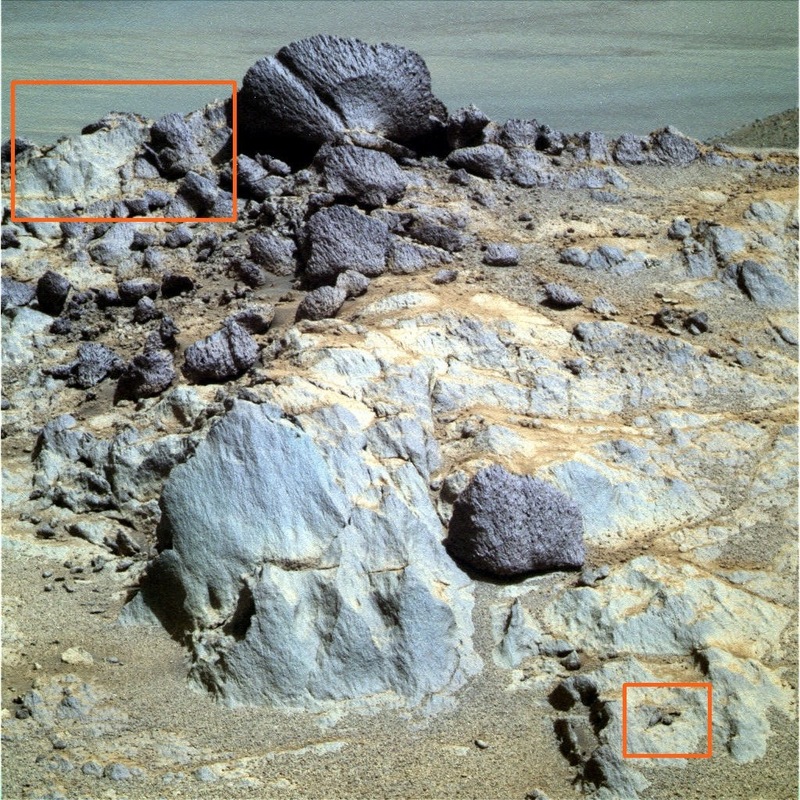 An image taken by Mars rover Opportunity shows some interesting objects that looks like animals. The first object appears to be a bird. The bird is so completely symmetrical that it is hard to tell that it was created by accidental natural forces. 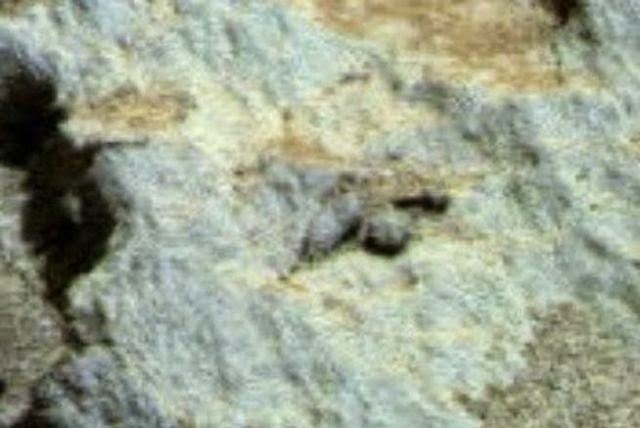 The second object appears to be a horned animal, fossilized to stone. 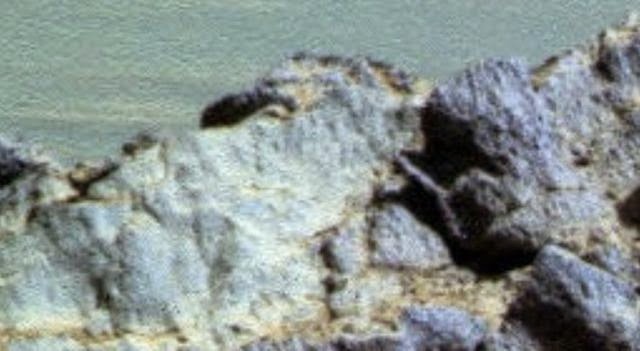 Clearly visible is its shape, head, open mouth, eye and horns.